Next Article Are economies ready for digital taxes? A relentless surge in mobile data is putting unprecedented pressure on service providers to optimize network resources. To make it all work, they must get better at managing and harnessing GTP traffic, which is rapidly increasing in EMEA, in part due to EU roaming regulations). GTP carries General Packet Radio Service (GPRS) within GSM, UMTS, and LTE networks through a group of IP-based communications protocols. GTP and Proxy Mobile IPv6-based interfaces are specified on various interface points within 3GPP architectures. Originally, GTP was used in GPRS (2.5G networks), later developing a similar role in 3G and 4G networks. For 4G, the key nodes have different names and, to a certain extent, are comparable to nodes used in 3G networks. It is important to note GTP is here to stay, and service providers must grasp how to optimize its capabilities both now and into the 5G era. Indeed, the 3rd Generation Partnership Project recently concluded that Network Slicing will be a central feature in a 5G network. Everywhere you look, networks are experiencing massive increases in video traffic while still retaining an inherent susceptibility to latency. The same physical network must contend with a virtually infinite number of online devices, largely propelled by the booming Internet of Things (IoT). Network slicing is central to harnessing the power of GTP for operational benefit. The technique entails isolating network functions that support the requirements of a particular use case, helping to manage new, differentiated services and scale the allocation of high-throughput traffic bandwidth and control plane communications. Each network slice can be optimized to provide the resources and network topology for a specific service and the traffic within it. 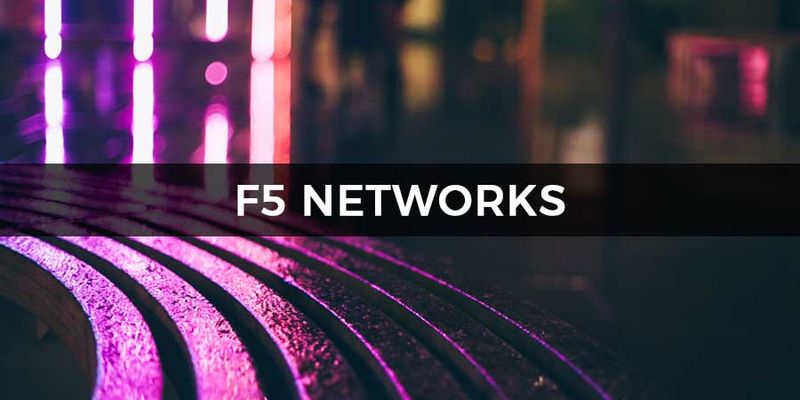 Functions such as capacity, connectivity, coverage, and speed can therefore be allocated to meet specific use case requirements, while functional components can be shared across different network slices. Today, many service providers are turning to solutions like a GTP Session Director to deliver mobile core network slicing capabilities based on locally configured policies. Essentially, the solution gives mobile operators better control over how subscriber sessions are distributed over mobile core elements, which is particularly useful for managing IoT and MVNO business solutions. Another key GTP Session Director feature is that it can interrogate the network status to determine when a new data session is required. This can then be combined with details such as subscriber, services, and location, as signaled via the GTP protocol. IoT.In this instance, a service provider wants to use its IMS network for both roaming and IoT traffic. The GTP Session Director can select a network slice that uses a dedicated part of the IMS network designed for IoT services. A different slice is possible for each IoT traffic flow. The service provider can also leverage an exclusive, fine-tuned part of the network dedicated to a specific IoT service or group of services. This way, IoT interaction with other traffic flows becomes more manageable. For example, a heavy load caused by IoT activity will not have an adverse impact on other services. Enterprise. Network slicing is the way ahead if a service provider needs to separate network resources for services offered to a specific enterprise or customer group (i.e. an MVNO). A GTP Session Director can select a network slice, tapping into a database with information on whether a subscriber (identified by an IMSI) is allocated to a specific enterprise, or belongs to a specific customer group. Smaller numbers of IMSI ranges can be directly configured inside the GTP Session Director without the need to query an external database. The best network slice is further determined by data related to location, type of access, or other information carried via GTP. Selecting specific network settings. In this case, a service provider wishes to use a network setting optimized for a specific service or type of service. If latency is critical, a GTP Session Director selects a network slice optimized for minimal delays. On the other hand, another service or group of services could be better served by a network optimized for maximum throughput. Elsewhere, other services may demand support for a significant volume of parallel sessions. All these use cases can be orchestrated via real-time configuration to discover the most suitable network slice in seconds. Policy Enforcement. A GTP Session Director can also reduce bandwidth per customer or service, depending on location type and congestion levels. This entails querying a database, either in general or based on parameters including Radio Access Type, generic location information and IMSI range. If the database lists congested cells, the service provider uses the information to select the appropriate network slice. This network slice can then be augmented by a policy enforcement solution connected to one or more Packet Data Network Gateways (PGW) to ease throughput congestion. The GTP Session Director switches back to regular network slices once conditions improve. Orchestration of this nature is extremely cost-efficient, with network services only utilized when traffic conditions dictate. GTP is a vital protocol for signaling and transporting mobile data, whether in the initial GRPS networks via 3G and 4G, or the imminent 5G. Clearly, strong mobile user data growth requires better scaling of networks that rely heavily on GTP. It also calls for the flexibility to fine-tune network slices for specific service needs. At the same time, operators must respond to GSMA-driven initiatives for better GTP security risk awareness and vulnerability pre-emption and mitigation. Against this challenging and fast changing backdrop, technology like a GTP Session Director and other GTP security mechanisms will be increasingly in demand.